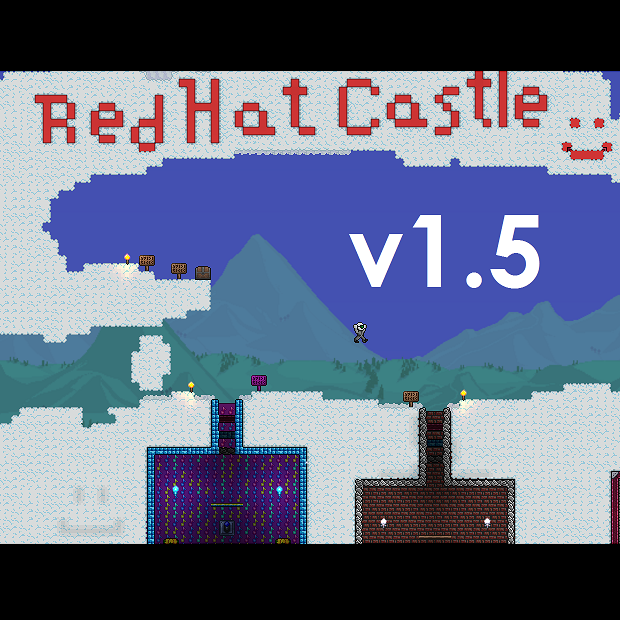 Red Hat Castle is a non-linear adventure map inspired by many influences from 80s, 90s and 2000s adventure titles, including Castlevania, Zelda, Metroid, and Dark Souls. You explore a large castle and its surrounding zones on a quest to remove the king's curse. There are 3 built-in difficulty settings, each with unique content and endings. Just download the map, put it in your "worlds" folder and create a softcore character and you're ready to begin! Designed for 1 or 2 players! Feel free to contact me with any questions or feedback you may have. I'm open to any ideas to improve your experience! Thank you so much for checking out Red Hat Castle!